Categories: Gender and Women's Studies, 19th Century History, Social History, Medical. This book presents the stories of men and women charged with murder in nineteenth century Ireland. Some were found guilty and sentenced to death and others were sent to the Central Criminal Asylum for Ireland at Dundrum. For those considered to be ‘insane’ at the time of committing the crime, their fate was an indefinite committal to Dundrum. For those considered responsible for their actions, it meant the death sentence which, in the first half of the century, was often reduced to transportation and, in the second half of the century, to penal servitude within the prison system. Drawing on her specialist knowledge of mental health policy and law, and with unique access to convict records, Prior explores these crimes within the context of criminal justice policies in Ireland at this time. Her examination of previously unexamined records shows that court judgments were highly gendered.The death penalty remained a possibility for anyone found guilty of murder and while the execution of a woman was unusual, it did occur. However, with the opening of a criminal lunatic asylum in 1850, a new approach was possible. Men who killed women and women who killed children began to use the insanity defence very successfully. For some, this was a positive outcome, leading to a short period of detention in Dundrum, but for others it led to a lifetime in an asylum. For those found guilty of the crime, the most frequent outcome was a long stretch in prison. An interesting outcome for many of these convicts was official assistance in emigrating to the US at the end of their sentences – a theme explored in the final chapter. 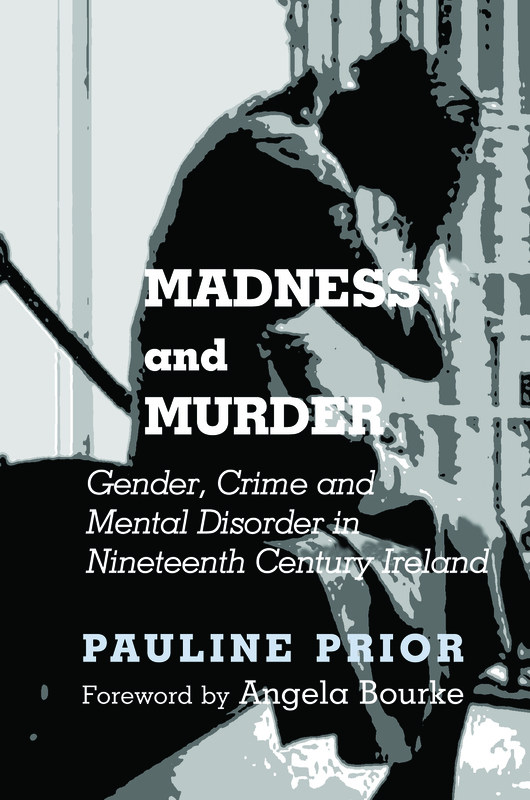 If you are interested in crime in Ireland, in the link between mental disorder and crime, or in the impact of gender oncrime and its punishment, this book is for you. Dr Pauline Prior is a senior lecturer in Social Policy at Queen’s University Belfast, Northern Ireland. Her research is mainly on aspects of mental health policy, including gender, law and history. She is currently working on the history of forensic psychiatry in Ireland. Her publications include journal articles on mental health and on the history of psychiatry, and a number of books.